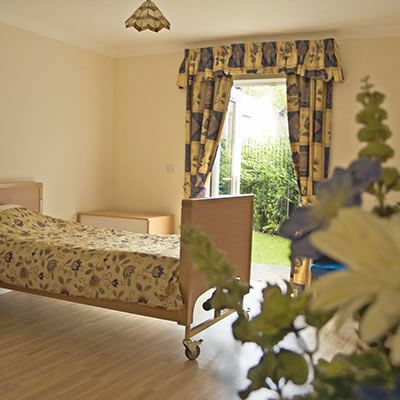 St Mary's provides nursing care for a wide range of service users and specialises in a number of fields. 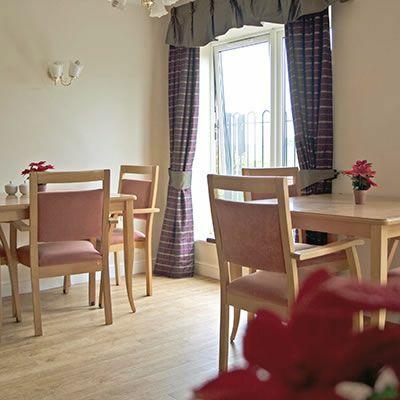 St Mary's Care Centre is a purpose built, 63 bed Care Centre located in the residential area of Collins Green, Burtonwood in Warrington, and has been open since August 2005. 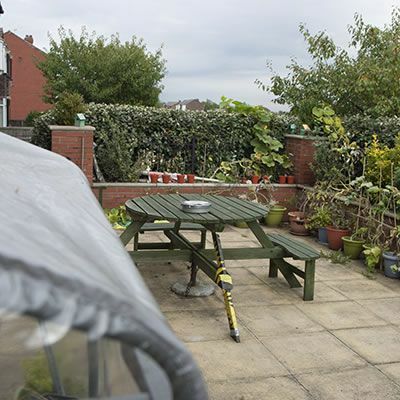 It is approximately seven miles away from Warrington town centre and within easy reach of St Helens, Halton, Leigh and Wigan. The Centre is situated close to local shops, local amenities and has good access to local transport routes. Mrs Deborah Wareing is the Registered Manager of the Care Centre, Deborah is supported by a committed team of qualified nurses and health professionals who provide the care to all service users on the units 24 hours a day. Each unit has a team of carers and members of staff that work as part of the multi-disciplinary team alongside the nursing staff to meet the assessed needs of each individual and provide the highest possible standards of care to the service users at St Mary’s Care Centre. All carers are encouraged to undertake qualifications related to their role developing the skills, knowledge and experience required to provide high quality care. 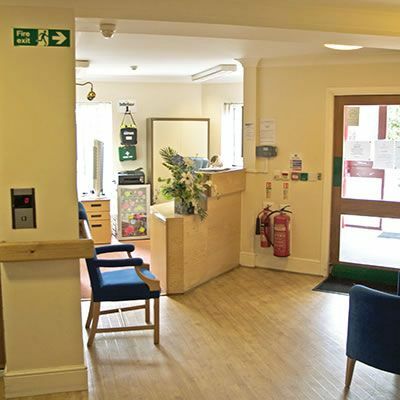 St Mary’s are proud to offer an open door visiting policy where prospective service users, their families and representatives are welcome to visit at any time (with or without an appointment) to view the facilities and discuss issues relating to care with the members of staff present. If you would like any further information about St Mary's and the services we provide then please contact us using the details below or fill out our contact form. The Nominated Individual for St Mary’s Care Centre is Ian Forshaw. This was the rating we have recently received from the CQC. Click on the file below to download a full copy of the report. We had an environmental health inspection on Tuesday 21st June 2016. The Care Centre scored 5 stars, and there were no recommendations for improvement. "The care provided by all the team at St Mary's for my Dad was simply amazing, I can only say how pleased we were as a family to have such support for my Dad over the 3 years he lived in the Stephenson Unit in St Mary's. The team in the Unit helped my Dad settle into his new home even though the most difficult of times." I wanted to put in writing how impressed I am with St Marys. My husband's birthday yesterday was lovely and really personal. I brought a birthday cake in, not realising the kitchen staff would provide one. The whole day was a revelation to me! Today when he was poorly, Karen and the team were superb and what was nice was the carers coming to his room individually to check how he was. I am so pleased he is living under your care because it makes an awful situation more tolerable. "Trusting a loved one into someone else's care is a difficult transition. My husband spent 2 years at St Mary's Continuing Care home, in the later stages of Alzheimer's and he had the best possible care during his stay. Previously he had been in another care home where things did not always go to plan and the difference between it and St Mary's was significant and reassuring. The management and staff make the place feel like a home for the residents and they treated my husband like family. His care was rigorously monitored, he was always fed, hydrated and looked clean and well dressed at all times. The respect, care and love that they showed in his final days made all the difference to him and to our family." "We feel that the level of care, love and attention given to our mother was exceptional. We cannot thank the staff enough for their support for us at a very difficult time. We cannot recommend the home highly enough." "My brother was a resident at St. Mary's in Fern Unit for eight years. His main medical condition was dementia due to alcohol abuse. In Mid November 2016 he virtually stopped eating, leading to a significant deterioration in his physical condition. At the beginning of December, he was placed on end of life care. The care he was given, physically, psychologically and spiritually was excellent. He was not expected to live to see Christmas, so the staff brought it forward. His room was decorated appropriately and last year's cards brought out. In fact, he lived until 11th Jan. His death was peaceful and dignified. About 16 staff attended his funeral and four carried his coffin." It is incredibly difficult for my sister and I to find the exact words, to express how we feel, about the way our Mum was cared for at St Marys, during her stay on Rose Unit. It is fair to say, that our Mum was not the easiest person to deal with, hence the reason why she was eventually admitted onto Rose Unit. After a rather lengthy, upsetting emotional time, we were advised by Debra Leyland that St Marys was the best place for Mum. When we first visited we had our reservations, but we took Debra at her word, and agreed to give St Marys a try (clearly we wanted what was best for our Mum). There was a settling in period which took a few months and, for a spell, things became worse not better, however, this was short lived and we were reassured that the experts in the home knew what they were doing….and they did. Gradually, week by week, we started to see an improvement; we began to enjoy visiting our Mum, rather than having dread at what we would be facing on arrival. The home had put simple but effective measures in place, to deal with the difficult behaviour and a new personality began to emerge. As we all know, Mum’s health was deteriorating, she had a number of admissions into hospital, and we were aware that she didn’t have long, the gentle and compassionate way she was looked after, could not have been improved. Our Mum was truly, properly cared for, the staff were genuinely good with her, despite her difficult nature, and that was clear to see. Mum did say on more than one occasion, “they cannot do enough for me here, they attend to my every need, I am happy here, I like it”. To hear those words was a miracle. It gave us peace of mind, and for that we will always be truly grateful. We want each and every person who was involved in the care of our Mum to know, that for us her daughters, the brief time we eventually had with her, with her new personality, gave us some precious months. This is how we will remember her. Many of you went above and beyond the call of duty, to help our Mum settle and enjoy “the living”. How can we possibly measure this in words; I really do not know how to thank you enough. You have been amazing, awesome, wonderful, etc. There is so much negative press around Nursing Homes, as they all tend to be tarred with the same brush, but we have witnessed first-hand how exceptional it can be, this is never reported, which is a shame. I would like to list every name, but it would be unfair as I am sure we would miss someone out. You have all been extraordinary, a truly massive and heartfelt thank you. "It has taken some time for me to write this review, our beloved father died recently, as we begin our difficult journey through bereavement I wanted to write our thoughts and feelings as we have spent many years here. Forshaw unit has been a large part of our lives, in the past we have sat looking out through the large glass windows which overlook the fields as we reflect on a lifetime with a kind, loving, funny, strong, hardworking devoted husband and father. It is extremely difficult to accept your loved one is unable to remain at the family home because of their illness, as much as you try to do all the care yourself, we had many, many times whereby we put obstacles in our path as we wanted to care for him ourselves. On arrival at the care centre, unexpected, we initially liked the place, however, still didn't want to let go, it was heartbreaking and the guilt was immeasurable, I cry as I write this, I remember everything, it was February 13th 2009, the first night was awful for us, didn't sleep, worrying, the next morning went to see dad, he was quite content really, should have been happy but early days we were not, missed him, thought we were doing him an injustice. We spent most days, hours on end sat with him, getting to know other people who shared his new home and also the staff. Days turned into weeks, into months, into years, dads disease went through its stages, had some very difficult emotional times there. Nobody wants to let their loved one go, but when disease dictates, it is important to be their advocate, but also sharing what you know of them to support people who are getting to know that person with the disease, tell them what their likes and dislikes are, we did and they were respected. The staff here, well, they have been and continue to be kind, professional, very experienced, understanding, counselors, welcoming, devoted, consistent in their care, loving, empathetic, sincere. Thank you, what more could we ask, we miss him, you know that, how moving to see you all come to say goodbye, he loved you all, we know that, we knew him before Alzheimer's did xxxxxx"
28/06/2018: Debbie presenting Jo Hooper with her 10 years of service award. Well done spud!! Congratulations to Joanne Woods & Jennie Binks for completing their level 4 diplomas! St.Mary's staff were invited to an awards ceremony at the St.Helens 'Totally Wicked' rugby ground. Debbie Stokes and Janet Eccles were both nominated, because of gaining their diplomas. Debbie & Debbie pictured with Jon Wilkin (Saints Scrum half). St.Mary's received a Good CQC inspection report, so the owners bought every staff member a gift voucher. Barbara Crilly received her 10 years long service award from Debbie Wareing, Home manager. Joanne Woods received her 10 years long service award from Debbie Wareing, Home manager. Staff from St Mary’s Care Centre were invited to Langtree Park (Home of St Helens RLFC) to attend an awards ceremony presented by St Helens Chamber of Commerce. The event was held to present certificates to staff who had recently completed their qualifications. What a fabulous way to recognise their hard work and achievement! The following pictures are from our recent summer fair, held on Saturday 2nd September. £584.76 was raised for the home. Tracey Picton & her daughter Rebecca Wolfe made these beautiful Easter baskets as part of a raffle to collect funds for more activities. Some of our residents made pancakes! 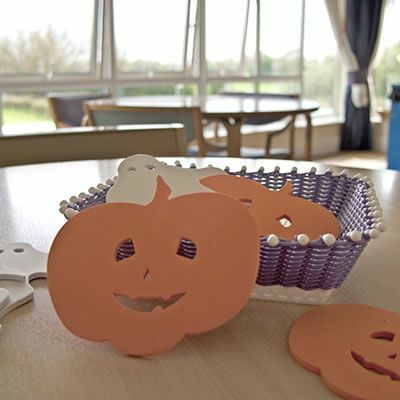 Below are some pictures from around the Care Centre, taken on Dignity day. Each unit created their own Dignity tree and an array of cakes. In preparation for Dignity day, 1st February, Vicky (The Activities coordinator) created this encouraging wall display. Ben & Stephen got to see the Coca Cola truck. The Christmas tree was up in Stephenson unit. Stephenson unit had a Halloween party. Pumpkin carving, bobbing for apples, and loads of food! As part of our training and development we are going to do some experiential learning sessions. The first was on the 13th October. It was just a little fun, and to experience what it is like to have food on your face for an hour without anyone washing it off. This included all staff members on duty on this day, including the Care Centre Manager Deborah Wareing! This was followed with some useful debates with our staff team. "Guess what's in the box!" As part of a sensory exercise, these boxes had an assortment of objects in them, for instance: beads and cotton wool, hair brushes and jelly. These boxes where then wheeled around the units so that all service users could have a go! Our service users enjoyed a day out to the Burtonwood Heritage Center. Wednesday 31st August 2016 - We had the Diamond Dancers at the home to entertain us all with their dancing and exercise routine. Nicky Cunningham & Debbie Wareing managed to finish the Colour run In Manchester, on Saturday 2nd July - a distance of 5 kilometres! Debbie Managed to raise £305 for St.Mary's Care Centre's Activity department, and Nicky raised £101 for Bold Rangers FC. We didn't escape from the Vault, but a good time was had by all. Ian Tulloch, Sadie Hassall, Debbie Wareing, Debbie Stokes, Nicky Cunningham, & Paul Ikin. Lisa Costello & Lauren Grundy raised money for Macmillan & St Mary's Care Centre activities fund by braving the heights of the bungee ball & collecting sponsorship monies. The bungee ball was catapulted 182 feet up in the air. The Infection control bord has been updated. The Infection control board has been updated. The Infection control board has been updated with different single point lessons from last month. Our updated Infection Control notice board.